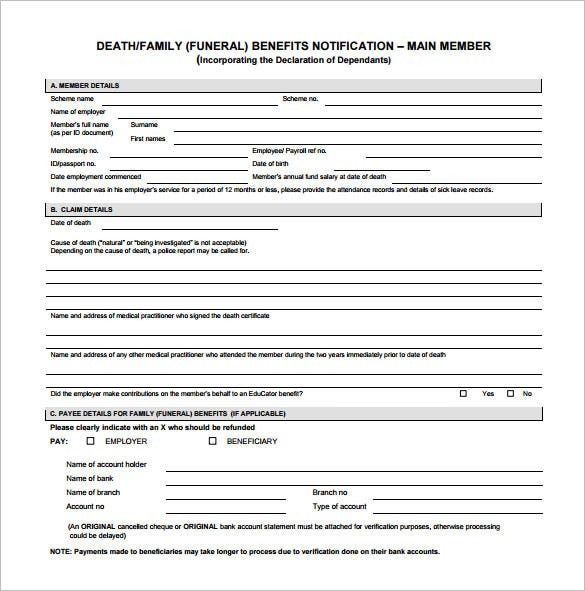 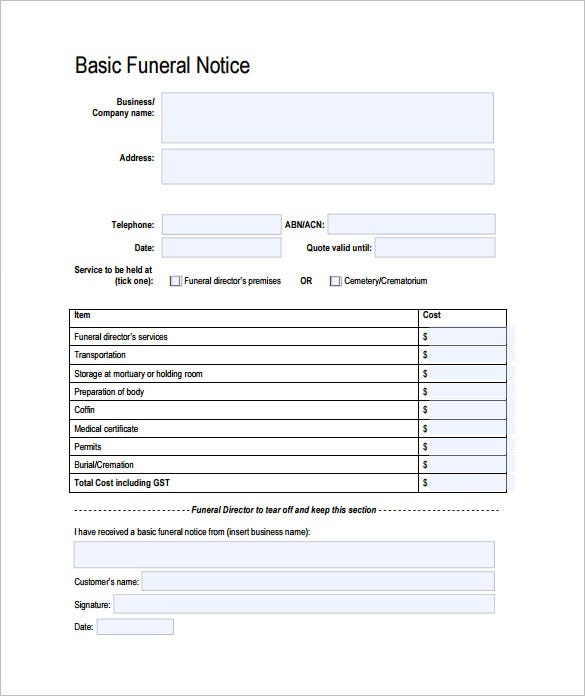 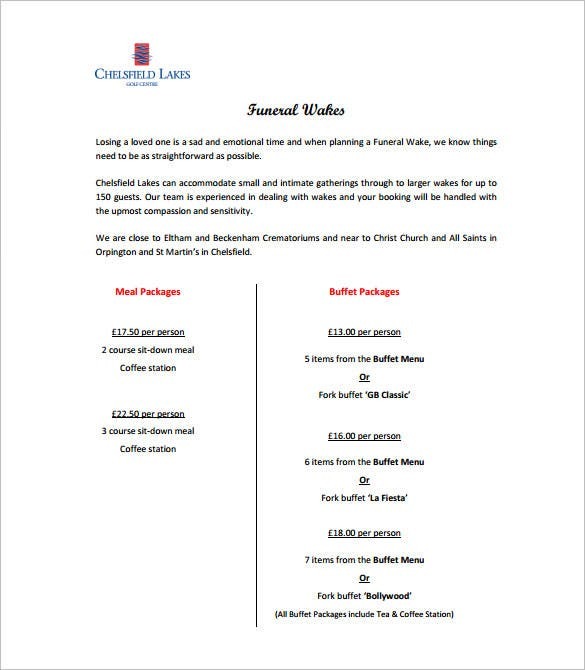 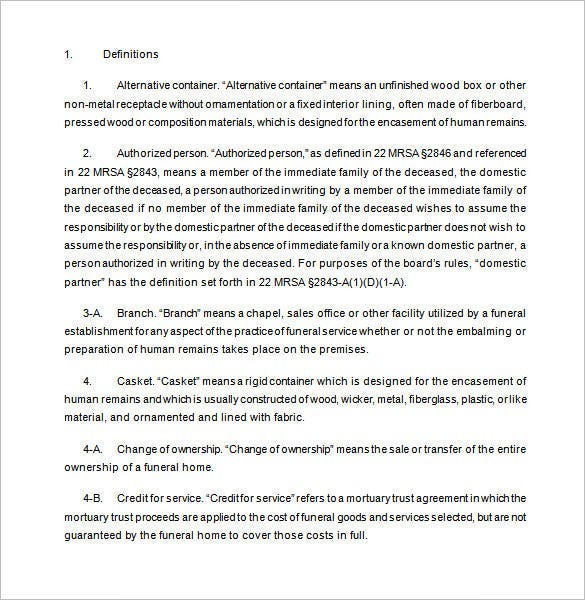 A funeral notice is a form of announcement letter informing people regarding the death of a departed family member, a friend or a workmate. 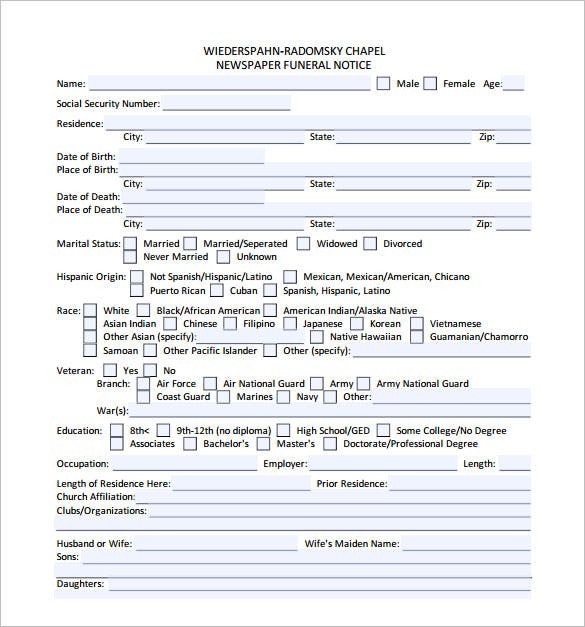 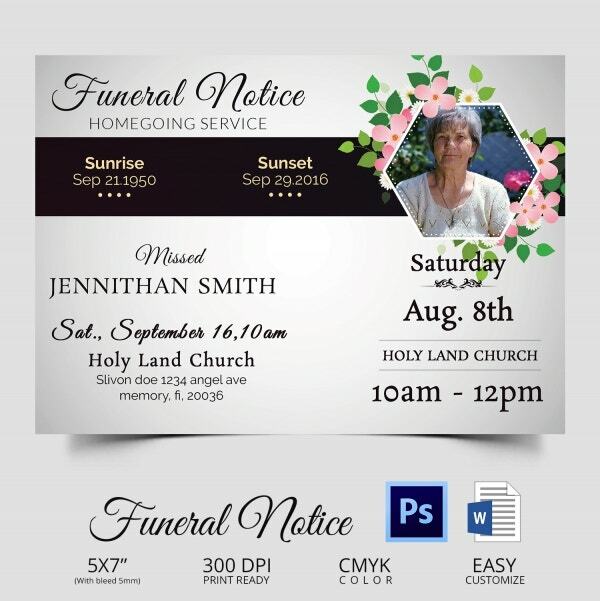 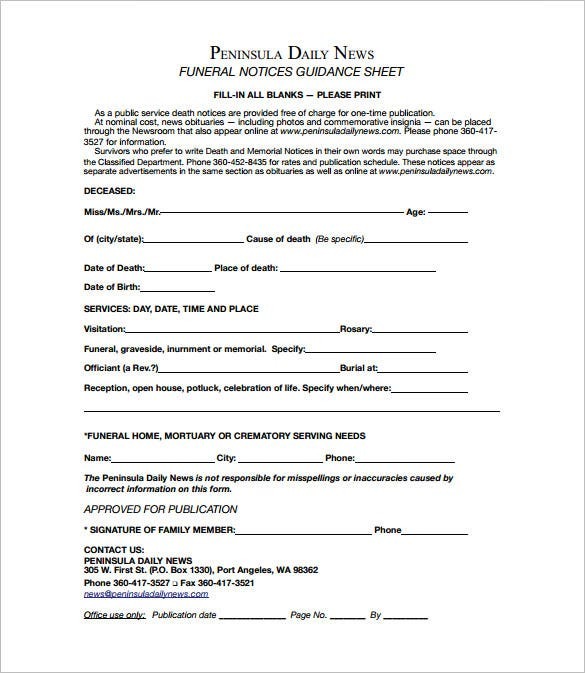 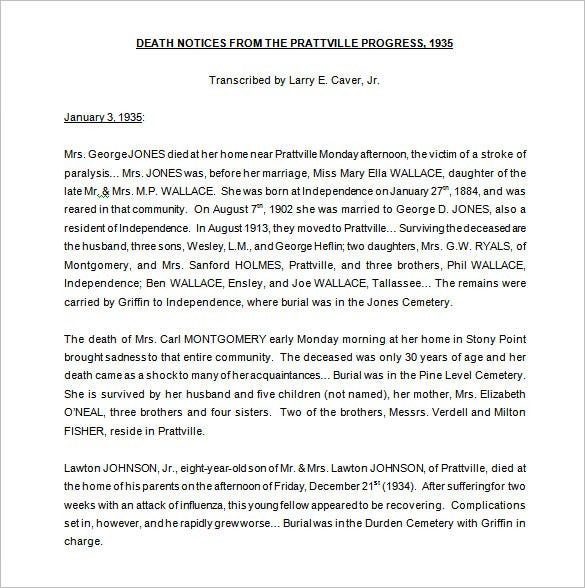 This notice is part of the Death Notice Templates where it displays the details regarding the death of a person and commonly seen in news reading material such as newspapers. 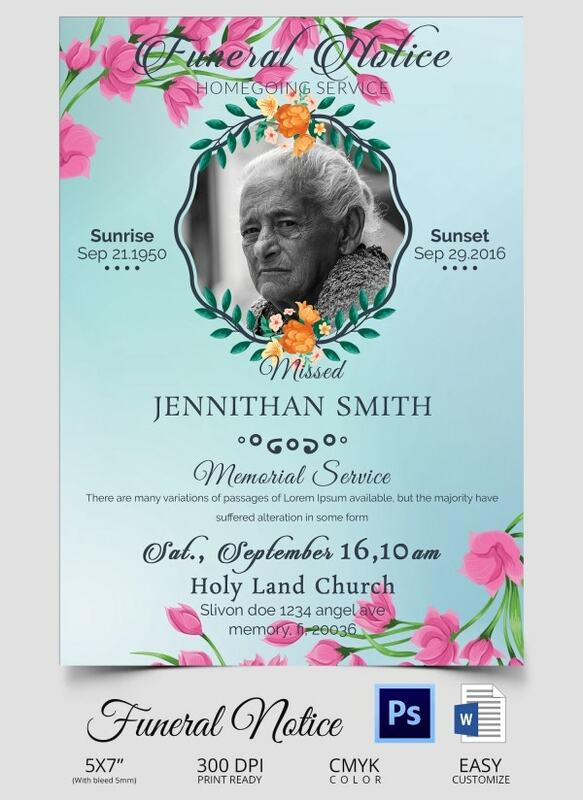 It is also used as a paying tribute to the person who died with respect and formality. 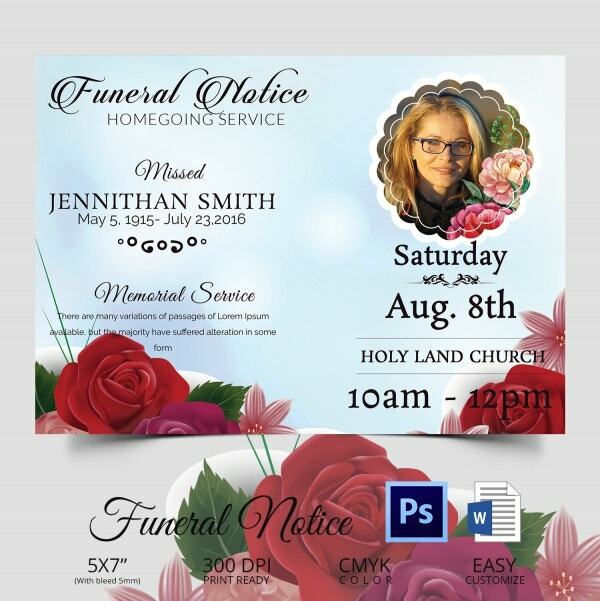 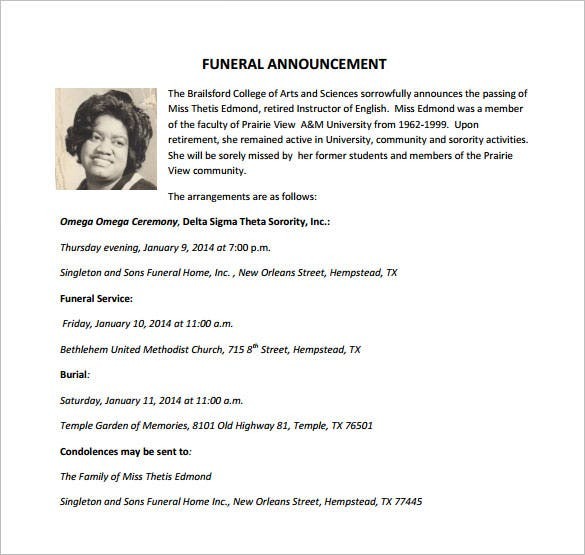 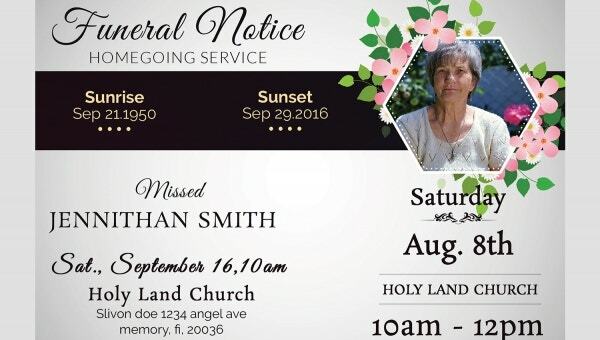 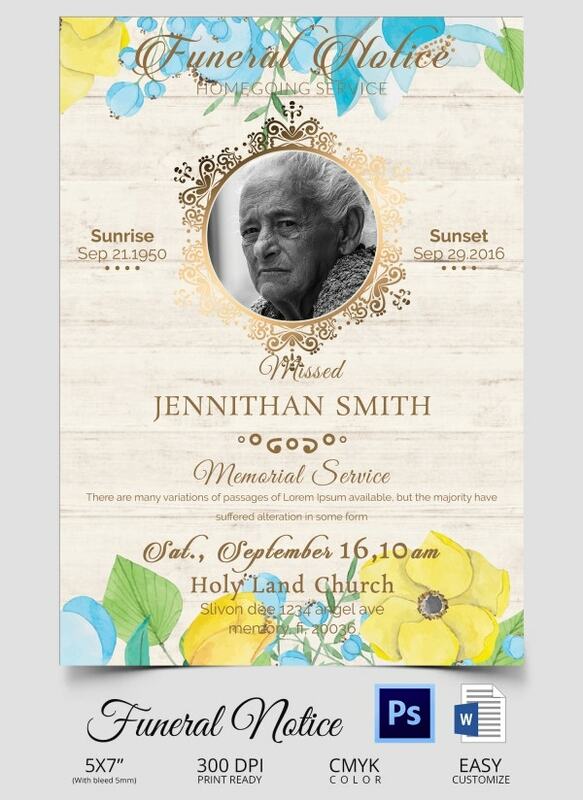 Now that we have different types of Free Notice Templates, it is easy to create a notice about the person who died. 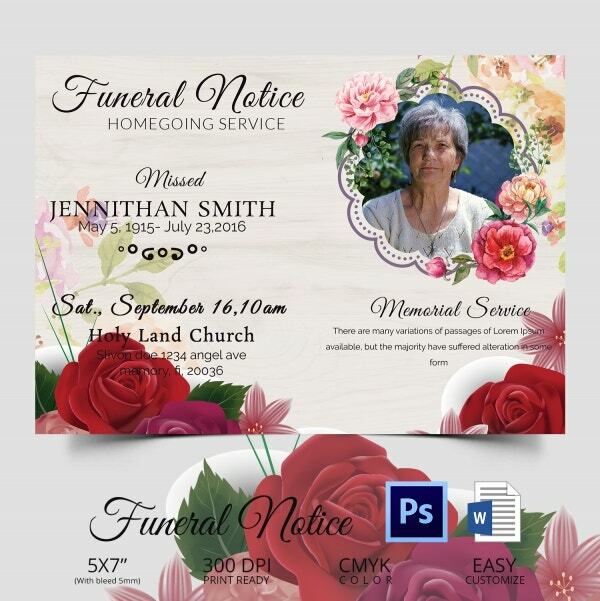 These templates are free of charge, easy to manage and offer variety of designs and layouts.